Can I use Ability services? Many of our care and support services are provided under contract to 17 Adult Social Care authorities in London and the South of England. To use one of these services, you need to talk to your social worker, care co-ordinator or social care team. They will decide whether to refer you. Our flexible customer-led yourAbility services are open to anyone with a personal budget or who wants to fund themselves. There are more details about this service here. Where does Ability provide services? We provide services across the South East of England. Can Ability provide personal care? Can I use my own money to purchase an Ability service? Yes, you can buy a yourAbility service with your own money, or the money you get as a personal budget. There are details about our yourAbility services here. Can I choose my support worker? Before we begin working with you, we will ask you some questions about your hobbies and interests. 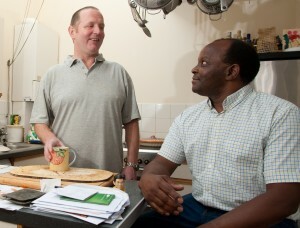 We will also ask you some questions to find out what you would like from a support worker. We will then try to match you with a support worker who has similar interests and or who matches the profile you have given us. Can I choose where and when I get my support? Yes. We always try to be as flexible as possible about where and when you receive your support. whether the service is free to customers, because it is funded by a contract with the local authority. When you contact us about our services, we will be happy to explain any costs to you.